The ultimate storage unit for those areas where space is limited. Manufactured from low maintenance ribbed steel sheeting. apartment complexes. Both come with single hinged door. 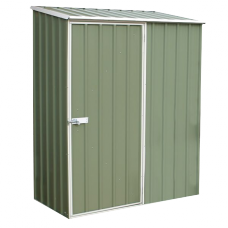 AS-PE15081SK	ABSCO Sheds are designed for style and functionality with doors in the gable side and ..